Physically, it’s not all that far from civilization — Miraval lies in Northern Tucson’s Santa Catalina Mountains, less than an hour’s drive from the airport. But once you’re there, you might as well be in another world. Which, of course, is entirely the point. There are destination spas and then there are destination spas. Miraval aims at nothing less than a mental and physical transformation, and while that may sound over-ambitious, you’ve got to admit they’re well equipped for the task. Basically, if it’ll help you be healthier, they’ve got it. From fitness-oriented pursuits like yoga, pilates, spin classes and multiple pools — not to mention a wealth of outdoor options, including hiking, biking, golf and horseback riding — to an encyclopedic list of offerings in the Life in Balance Spa, encompassing everything from a simple manicure to an epic Qi Journey. 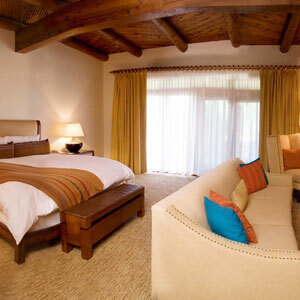 The accommodations, naturally, are luxurious, the 118 guest rooms decorated in a contemporary Southwestern style, with all the expected modern conveniences. 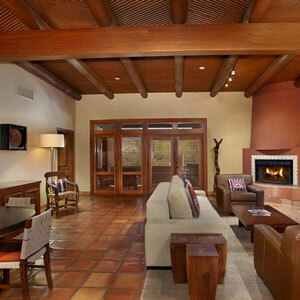 Some feature fireplaces and patios with stunning views of the mountains and the surrounding Sonoran desert. Even if you somehow manage to give all the resort’s activities a miss, you’ll likely come back a changed person just from the pervasive air of complete and utter calm. Meals are included, and the cuisine is suitably health-conscious, using fresh natural ingredients, and cooking classes are available for those who wish to take a bit of the Miraval dining experience home. The focus on health and relaxation brings with it certain austere measures — there’s no smoking allowed, and alcohol is served only after the day’s activities. 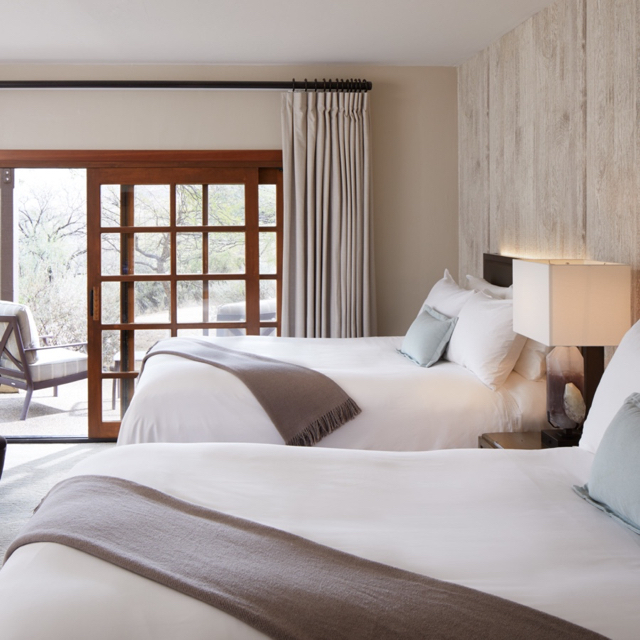 Children are not permitted, and though there’s no minimum stay requirement, it’s recommended that guests stay several days in order to take advantage of all Miraval has to offer. 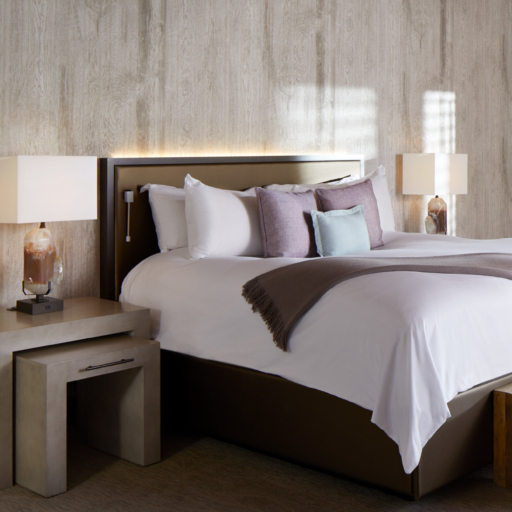 Miraval Resort & Spa is approximately a 50-minute drive from Tucson International Airport and less than two hours from Phoenix-Sky Harbor International Airport. 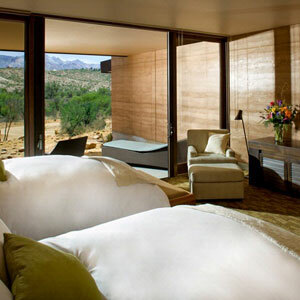 The hotel offers complimentary driving service to and from Tucson Airport. The hotel requires transportation information no less than 72 hours before your arrival at the airport. Guests arriving at the resort after 9:00 pm will receive a late night snack in their room. Please contact customerservice@tablethotels.com to arrange complimentary airport transfers from Tucson International Airport.